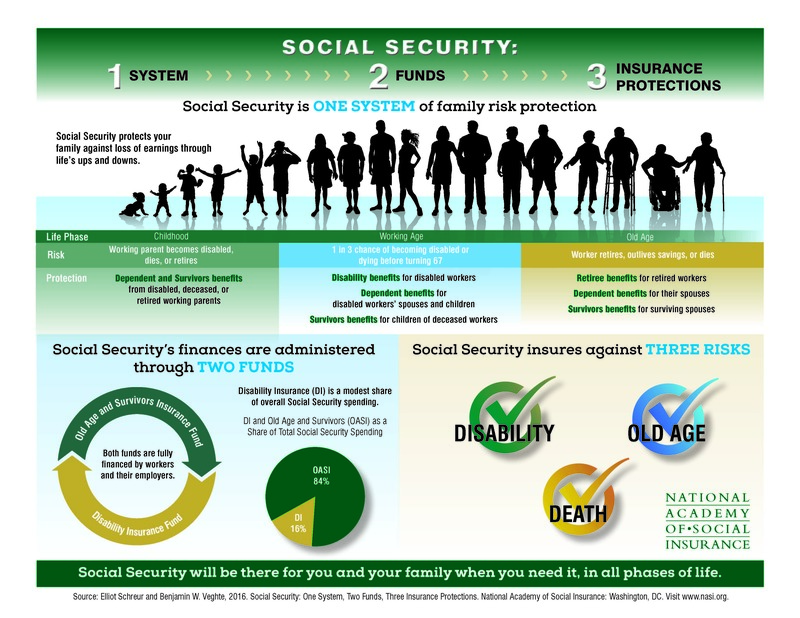 This infographic is based on a brief, which explains how Social Security is one system, consisting of two funds, that provides three forms of insurance. Its disability, retirement, and survivor protections work together to cover many of the economic risks families face every day. From the young child whose working parent is disabled or deceased, to the worker who is worried about how his family would make ends meet if something happened to him, to the 80-year-old who does not want to have to turn to her children for financial support…Social Security is there for them. The infographic is available as a PDF or a jpeg. You can also download the full brief.